Morgan Ackley, Marianne Birkner, Olivia Chang, Richard Feng, Maximilian Gamero, Elizabeth Hartsell, Crissy Hendrickson, Farhan Islam, Shubhangi Jain, Chris Keyes, Mawuko Kpodo, Kanika Kumar, Brennon Lindsey, Emily Parent, Veena Prakash, Bailey Tyler, Jessica Urgo, Hong Yun and Yujia Zheng. Planetarium software that is essential to view the night sky. Stack .jpg's to make star trails. The Mac OS X version of SkyGazer 4.5 is distributed as a compressed disk image file. •	Download the disk image file. •	Copy the SkyGazer 4.5 folder from the disk image to the Applications folder on your hard drive. •	To un-install, drag the SkyGazer 4.5 folder on your hard drive to the trash. The Windows version of the demo is distributed as a self-extracting installer executable. •	Download the installer executable. Double-click the file's icon. •	Follow the instructions in the installer screen. •	To un-install, go to the Start menu > Programs > Carina Software > SkyGazer 4.5 > Uninstall SkyGazer 4.5, or use the "Add/Remove Programs" control panel. 1. iPhone - SkySafari 5: $0.99 -- Planetarium software to visualize the night sky. (a) Android - SkySafari 4: $2.99 -- Planetarium software to visualize the night sky. 2. iPhone/Android - Planets: Free -- Details on the visibility of planets each day. 3. iPhone/Android - MoonCalendar: Free -- Details on the phase of the Moon each day. 4. iPhone - Moon Globe: Free -- Shows a detailed Map of the Lunar surface with names of significant features. (a) Android - Moon Atlas 3D: Free -- Details on the phase of the Moon each day. 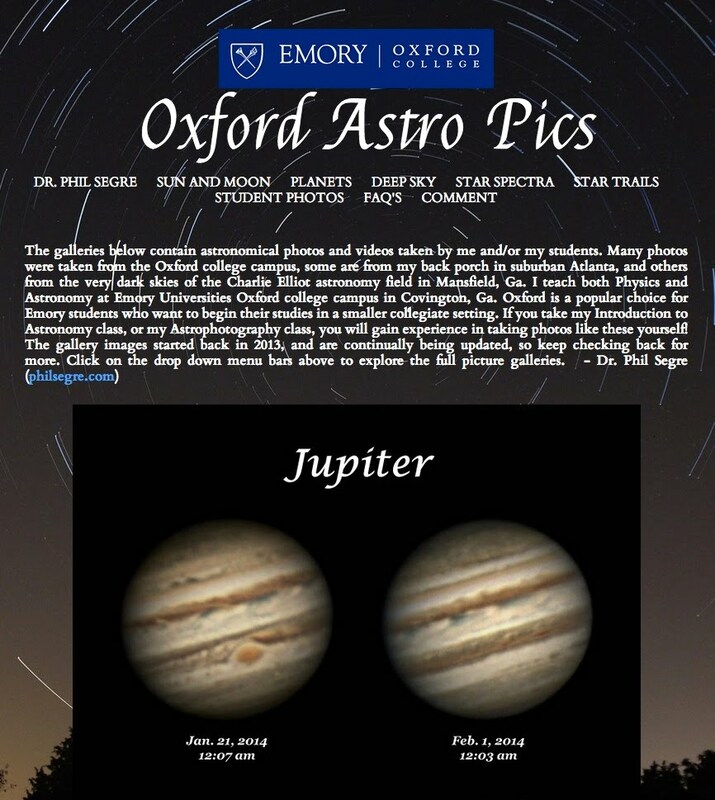 5. iPhone/Android - APOD: Free -- Astronomy Picture Of the Day. Beautiful photos from NASA. 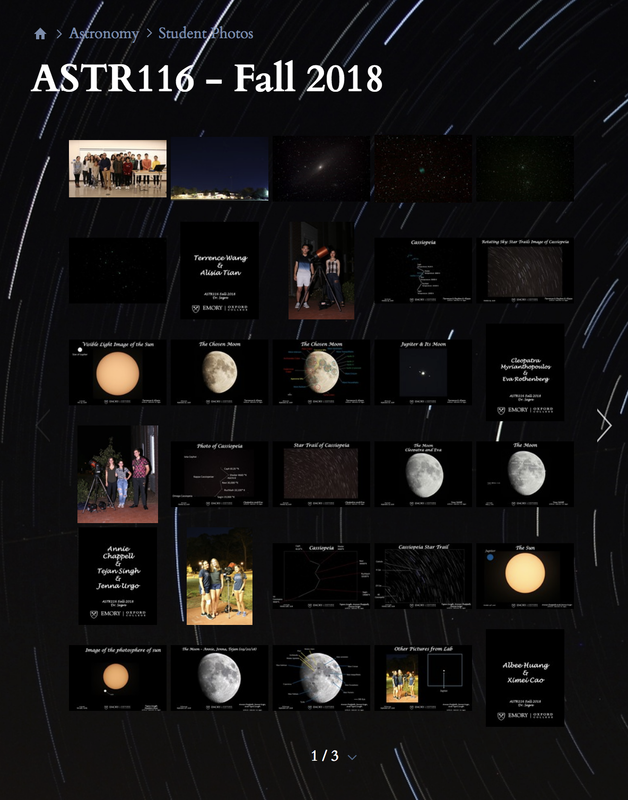 Below are all of the lecture notes, homework assignments, lab manuals for ASTR116 in the spring of 2016. The class is taught MWF 10:45-11:50am, with labs on Tues. 1:40-4:40. Discovering the Essential Universe by Neil F. Comins, 5'th Edition.